Ottawa, January 13, 2009 – Canada’s commercial building sector can contribute up to nearly 10% of total Canadian greenhouse gas (GHG) emission reductions in 2050 if a proposed policy pathway recommended by the National Round Table on the Environment and the Economy (NRTEE) and Sustainable Development Technology Canada (SDTC) is adopted. 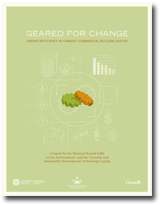 A joint report released today by the two organizations, entitled “Geared for Change: Energy Efficiency in Canada’s Commercial Building Sector”, shows that the combined application of an economy-wide carbon price signal, new regulations such as energy efficiency standards in building codes and minimum performance standards, targeted financial subsidies and incentives such as loan guarantees and accelerated capital cost allowances to promote technology deployment, and voluntary actions and information programs to promote energy efficiency, can together lead to a reduction of 73 MtCO2 per year compared to the business-as-usual scenario for the sector by 2050. This represents an 89% reduction in emissions from the “do nothing” case, but is still 9% above 2008 levels. 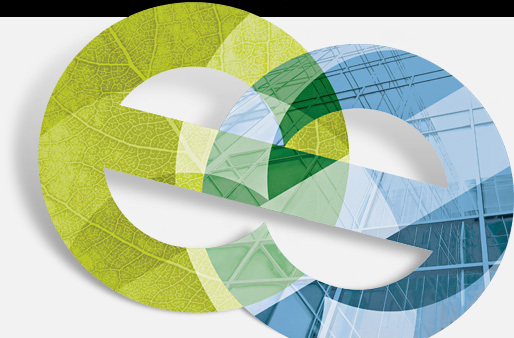 In order to achieve absolute emissions reductions from the sector after 2030 and to prevent a later rise in emissions, mandatory performance regulations will be necessary for all new buildings. 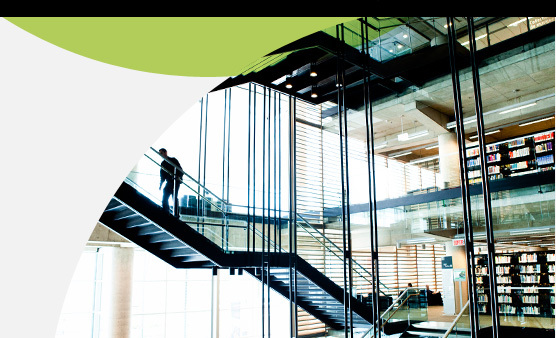 With more than 440,000 commercial buildings across Canada, the commercial building sector is a significant contributor to GHG emissions, representing 13% of total emissions. Given that the sector also represents 14% of all end-use energy consumption, the report concludes that a focus on energy efficiency will lead to real, measurable GHG emission reductions. “Geared for Change” marks the first collaborative research project of the NRTEE and SDTC, combining SDTC’s market and technology expertise with the NRTEE’s environmental and economic policy advisory mandate. 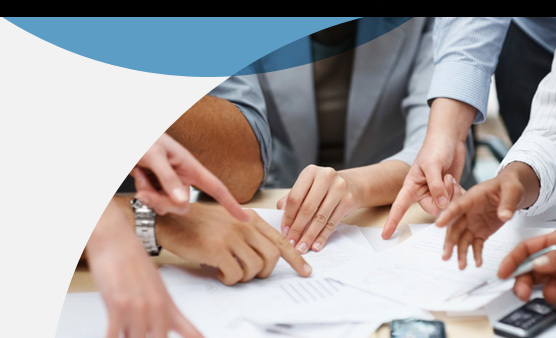 NRTEE and SDTC have concluded that in order to achieve deep GHG emission reductions and to realistically determine climate change requirements by industry involving technology, having both national and sector-level plans are required. 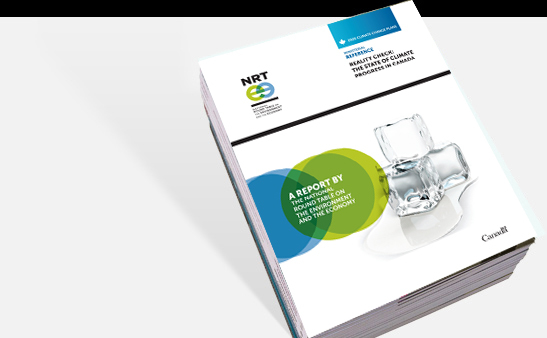 The report is based on almost a year of analysis and engagement with national and regional commercial building stakeholders and experts, plus the combined research, market, technology, and policy development strengths of the NRTEE and SDTC. The National Round Table on the Environment and the Economy (NRTEE), an independent federal agency, is dedicated to exploring new opportunities to integrate environmental conservation and economic development, in order to sustain Canada’s prosperity and secure its future.